Screenwriters Beat is a YouTube show for screenwriters by screenwriters about how to break into the business. Over 50 shows are up on YouTube FREE to watch. The links, with show descriptions, are below. The panel talks about how they got their first screenwriting jobs and how they continue to find work. We discuss the range of pay out there for screenwriters and the types of jobs you can expect to find. The panel talks about their experiences in getting notes (script changes) from the producers they’ve worked with and how you can prepare for notes in your future. The panel pulls from their experiences working with producers to share some “rules” to make you a better screenwriter and play nice with others. At some point, you will have a screenwriting partner. It could be another screenwriter or a producer/manager that helps shape your script into something they can film/sell. Either way, the panel shares tips to make any partnership shine. All scripts have a production budget and knowing how to write to a certain budget can make you a valuable writer. The panel shares how they’ve had to write for a budget, and some common rules any screenwriter can use to make their script cheaper to film. Whether you write action, horror, thriller or comedy there are rules to be followed for every genre. The panel discusses some of those genre rules that can come in handy when working with a producer. While no one on the panel is a lawyer, we discuss a few contract tips and experiences that will get your head in the right frame of mind for your first — or next — contract negotiation. What’s your brand? The panel discusses the need to brand and how you can control how the industry sees you as a screenwriter. All genres have rules and inherent ‘pitfalls’ or devices that are so dated, screenwriters shouldn’t use them anymore. The panel shares their experiences in various genres and how they handle the pitfalls. Thanks to a technical difficulties, this show is in two parts. The panel discusses all the ways they’ve worked to advance their careers. The end of the discussion on ways to make it to the next level or working screenwriter. Whomever said writing is rewriting is write… err… right. Working screenwriters take on a lot of rewrite work, getting hired to ‘fix’ another writers script. Learn the ins and outs and get some of this work for yourself. 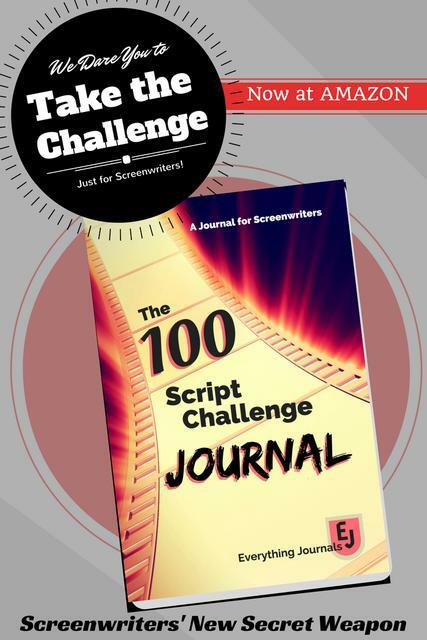 The panel shares some of the habits they’ve developed to complete a screenplay. It happens every year… contests roll around and put stars in all our eyes. Well, contests are a great way to jumpstart a screenwriting career, and the panel shares some winning strategies to use before and after a contest. The age-old question of how the panel finds work, could help any writer get out there and get a screenwriting job. No one should send a script out to a producer without getting feedback, but should you pay for coverage or trust your friends? Hollywood has a language all its own, and never has the term ‘its just business’ held more meaning. The panel discusses some of the things you’ll hear coming out of a producer’s mouth and how to take it all in stride. Episode #18 – Obligatory Scenes – All genre movies contain scenes that MUST be in them or they’d confuse their genre audience. We are just programmed for certain things to happen at certain times in a story. Learn about some of those vital scenes so your genre script hits all the right beats. — More descriptions coming, but the show titles below might tell you enough to follow the links. PLUS: Ann Kimbrough’s One-on-One Interviews contain some great insight from other industry creatives.